IRSF accounts for $10b in losses. According to the CFCA Global Fraud Loss survey, IRSF is the top fraud threats for operators across the world. Strong risk controls can prevent a lot of the fraud from happening. However, detecting and preventing IRSF fraud requires a different kind of approach. It requires the ability to predict when an IRSF attack is imminent even when no threshold rule is exceeded. PRISM is a database of over 500,000 International Revenue Share test numbers, which are provided by IPRN resellers to test that a revenue share destination and number range can be connected from a given location. These test numbers, if used as a hot list can alert pending or live IRSF attack. IRSF is difficult to detect through rules. And can easily go undetected. Unlike Premium Rate Fraud, IRSF is lot more difficult to detect as the numbers in IRSF are generally not part of the official national numbering plans so the originating operator cannot easily identify the called numbers as premium rate services and hence difficult to add them to monitoring hotlists. PRISM database can be added into your existing Fraud Management System as a Called Number Hot List. This is done without any development work on your side. There is both a CSV file and an API for easy number upload into your FMS. PRISM is up to date. Updated twice a month. All year. Fraudsters often change their numbers and number ranges which makes it difficult to rely on a static database. And that's why we update the PRISM database every two weeks. 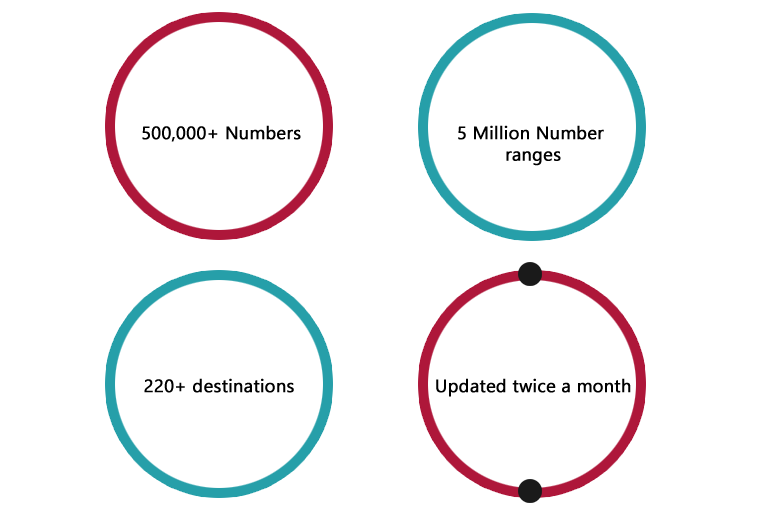 And we add 10 - 15K numbers at each update cycle and the number database is doubling every year. As it currently stands there are over 500,000 numbers and over 5 million number ranges in our database that can help detect IRSF and Wangiri fraud. PRISM Client is a lightweight platform. The lightweight tool comes with the benefit of inspecting call records to identify IRSF in near real time (no rules to write or configure); sophisticated algorithm to ward off false alarms and detect impending IRSF and Wangiri attacks; a simple web based graphical user interface for analysts to take decisions on the alarms; and predefined reports. PRISM Database & PRISM Client. 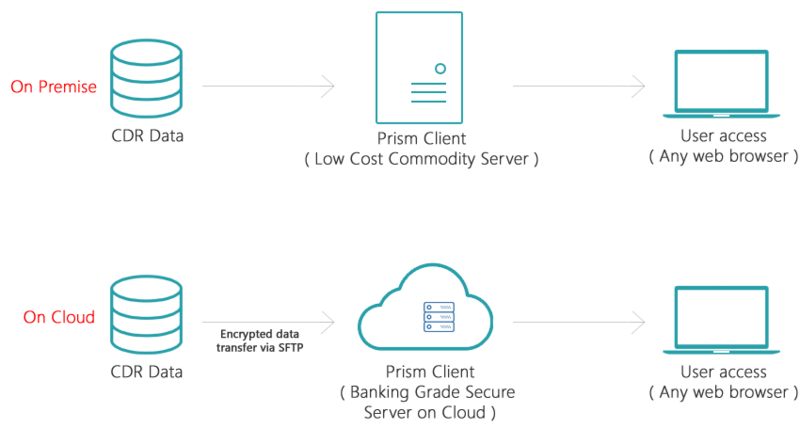 If you do not have a Fraud Management System, you can use our lightweight cloud based PRISM Client tool. The cloud set up can be done the same day with your CDR feeds passing through our system in the cloud. PRISM Client will come integrated with the PRISM database and will be updated automatically as the number updates are made to the PRISM database. The IRSF alarms can be reviewed through a simple web interface that your team can access using any web browser from anywhere in the world. No capital expenses. ROI guaranteed. PRISM is a delightfully simple database hosted on the cloud. You can get started in minutes without incurring any capital expenses. The simple annual subscription is all that you have to sign up to use PRISM. The subscription comes with complete peace of mind support directly from the people who developed PRISM.